Microform is a general term for any material that contains a small image or microreproduction of a document. These document images are usually found on film, however some older formats used cardboard. 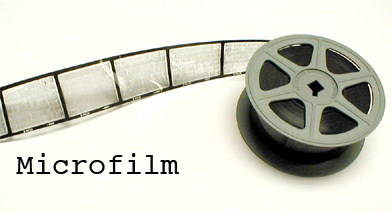 There are two common film formats: microfilm and microfiche. Microfilm is a roll of film. 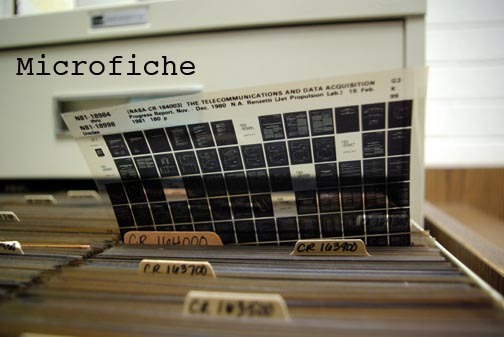 Microfiche is a flat sheet of film. Since the images are so small, special readers/scanners are used to view the documents. Microforms help to save space. Thousands of newspapers, journals or government documents can be stored in a few cabinets. For information on using the new M & M scanner, click here.